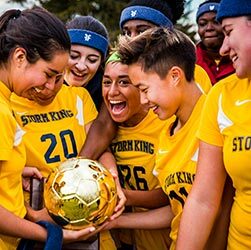 The Storm King School was very fortunate to host a special guest on campus this week. 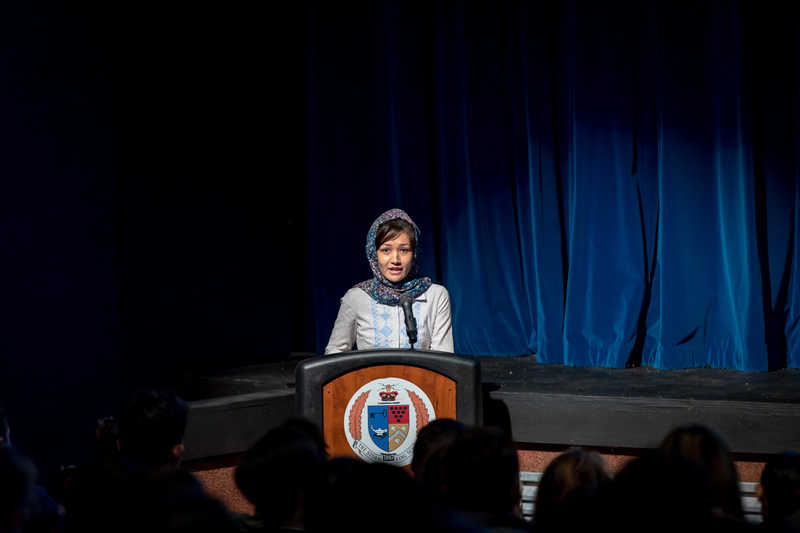 On Thursday, March 21, Ms. Masooma Rahmaty of the community-led, Hudson Valley NGO RiverTides, spoke to the school community and answered questions about her personal and professional journey from Afghanistan to the United States as part of the School’s Roy ’99 Leadership Speaker Series. The event took place at 7:00 pm in the Walter Reade Jr. Theatre where Ms. Rahmaty joined a panel of students– Sophia Grausso ’20 representing the IFC, Guy-Paul Delisfort ’20 representing the BLSU, and Dominique Gooden ’21 representing the Student Council. Prior to the event, Ms. Rahmaty was welcomed by Headmaster Jonathan Lamb, who shared information about the School and its place in the history of Storm King Mountain and the surrounding area. She was also given a tour of the campus by Blue Key Club member and senior Asia Raacke, who told her about student life and academics at the School. Ms. Rahmaty also attended dinner where she chatted with students and faculty members about some of the challenges she has encountered, and about her past experiences as an international student attending college in the USA. 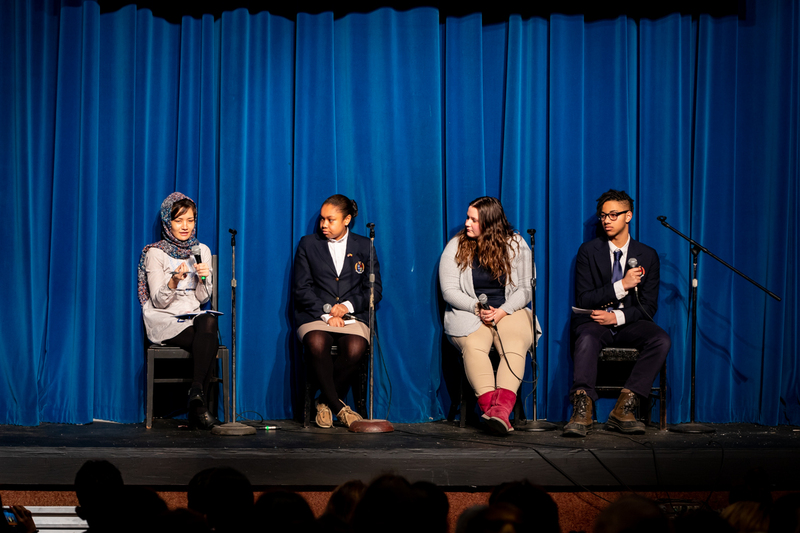 Following dinner, the school community filled the Theatre to listen as Ms. Rahmaty answered interesting and sometimes challenging questions about her life, education, and career– first from the panel, and later from the audience. Her insights were invaluable, especially for our international students, who listened intently and applauded following each of her answers. Ms. Rahmaty, originally from Afghanistan, graduated from SUNY New Paltz with a degree in International Relations. She also studied at the American University in Cairo. While a student at SUNY New Paltz, she served as president of the International Student Union (ISU). Currently, Ms. Rahmaty is an Associate Director at RiverTides, where she initially joined as a UN NGO Youth Delegate. In addition, she works as a researcher at the International Peace Institute (IPI)–a think tank located next to the UN in Manhattan–where she focuses on UN Sustainable Development Goals (SDGs), their expression in the private sector, and sustainable peace. Previously, Ms. Rahmaty worked as an intern at the Permanent Mission of Afghanistan to the UN and various other UN organizations.